Some people call them fish shacks, holes in the wall, dives- I call them Fish Camps! When you visit a city that is virtually surrounded by water you are bound to be able to nosh on fresh seafood at any restaurant. Of course you can dine in a fancy restaurant and be served the fresh catch of the day, but no experience rivals those of dining in a true fish camp. You might be thinking what exactly is a “fish camp” anyways? Well….back in the day they were considered a place for the “men” to hang out, go fishing all day, set up camp on site and after a long day of tall tale stories and a couple of catches they would gut em’, clean em’ and cook em’ up for dinner. Hence the fish camp, which was reincarnated into today’s version, a restaurant. That’s all the history I have for today, let’s gets back to the food. Jacksonville is where the land meets the sea… obviously you understand that seafood reigns supreme here and can be found at most establishments throughout the First Coast. A staple to Northeast Florida and many restaurants are Mayport shrimp. Harvested by generations of shrimpers off the coast, these crustaceans’ name lends itself to the fishing village of Mayport, founded sometime around the late 1500’s. 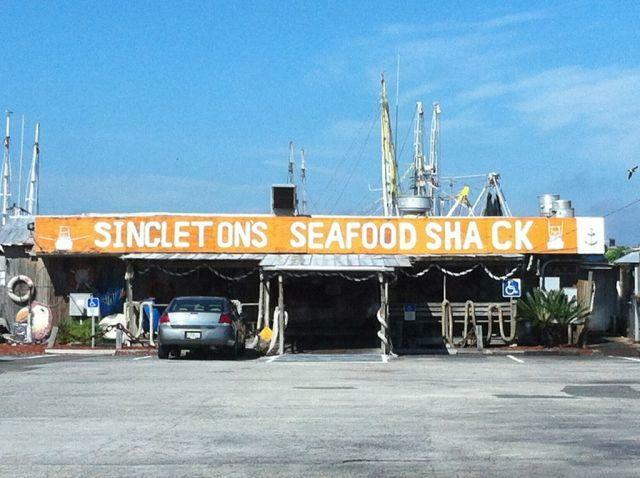 Located on the Northeast portion of Jacksonville where the Atlantic Ocean and the St. Johns River meet, locals know that Singleton’s Seafood Shack on A1A in Mayport is one of the best places to snack on them. Don’t worry about how it looks from the outside, we promise you a great meal. 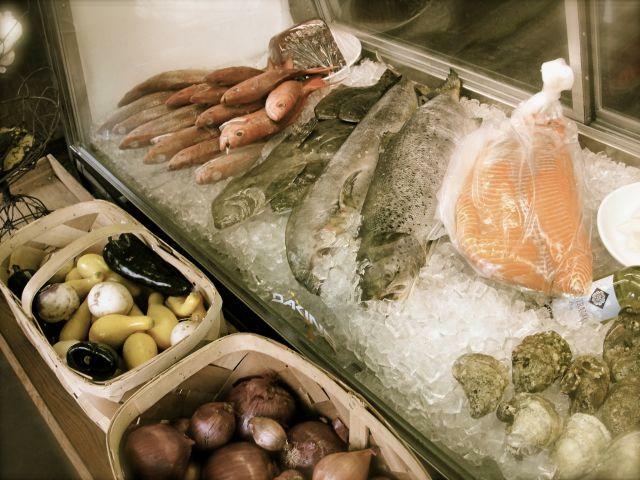 Singleton’s has offered fish specialties for more than 40 years; you can even purchase fresh seafood or bring your big catch in off the boat and have them fried up! House favorites include Minorcan chowder, blackened sheepshead, fried gator tail and classic shrimp burgers. Grab a boat or call Freedom Boat Club and idle through the creeks where you will find our charming fis h camps serving up typical southern comfort foods with a special emphasis on seafood. Whether driving or docking up to these unique dining experiences, they will have you coming back for more. 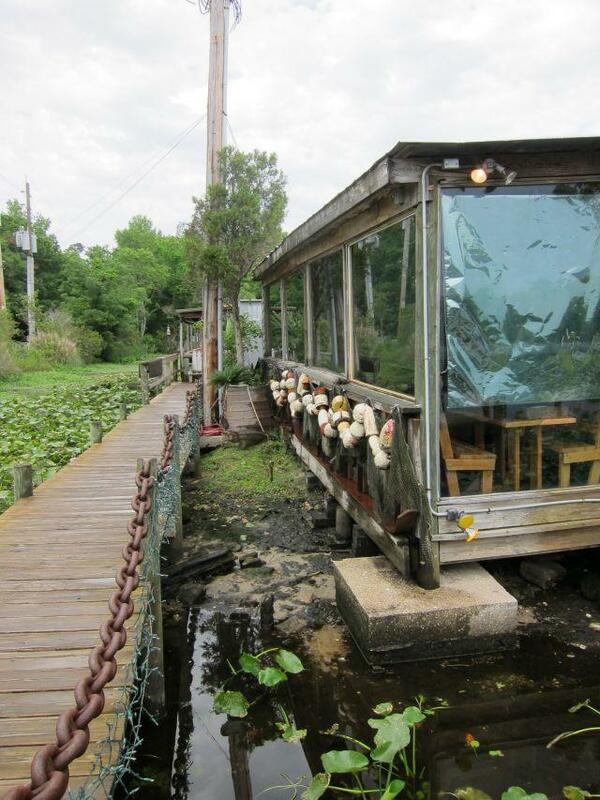 Clark’s Fish Camp is truly is one of our most unique camps in Jacksonville. Being born and raised on this side of town, Mandarin, we use to drop the boat in every Sunday and pick up bait at the tackle shop along Julington Creek- which is now much more than just a bait and tackle shop. Clark’s serves up fresh seafood and gaming fare like alligator, kangaroo and rattle snake. While the menu shines for it unique offerings the real show stopper is the environment. 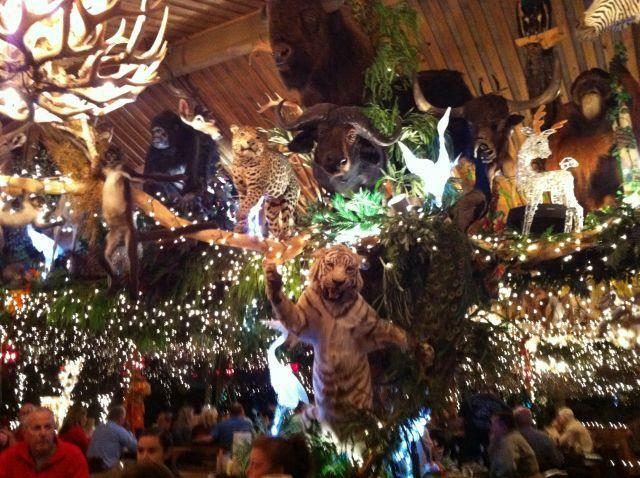 You are surrounded by one of the largest privately owned collections of taxidermy in the country. Watch out you might have a few beggars amongst you. Outback Crab Shack and Whitey’s Fish Camp are other not-to-miss fish camps in Jacksonville. So hop in the boat or the car, and see what is so special about being on the water in Jacksonville!